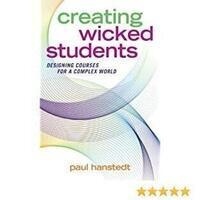 Join your peers in this Faculty Development sponsored Learning Community that will discuss the signature book of the year, Creating Wicked Students: Designing Courses for a Complex World. All faculty, adjunct or full-time are invited to join this discussion. If you do not have a copy of the book, please contact facultydevelopment@slcc.edu for a provided copy. The third session will discuss Chapters 7 & Conclusion. Register through the SLCC Registration System located on your MySLCC portal. This training is located under Faculty Development. Technology Building, TB 225D-DF 4600 S. Redwood Rd.